FC Barcelona’s latest signing Paco Alcácer, previously at Valencia CF, comes on a five year contract. FC Barcelona will pay Valencia 30 million plus 2 million in variables for the 23 year old player. The buy-out clause in Alcácer’s contract is set at 100 million euros. The striker has passed his medical and has now signed a contract with FC Barcelona, will be presented once he returns from international duty with the Spanish national team after having joined up with the squad on Monday. The striker born in Torrent, Valencia in 1993, has always stood out for goalscoring ability. Alcácer has played 146 matches in two spells at Valencia and a season on loan at Getafe. After making his debut for ‘los ché’ in 2010/11, he spent 2012/13 at the Madrid club, playing 23 matches and scoring four goals. He returned to Valencia and reached a total of 43 goals in all competitions after two more seasons with his local club. He made his international debut on 4 September 2014 for the Spanish national team under the stewardship of Vicente del Bosque in a friendly against France. Up until now the new Barça striker has made 13 appearances for Spain, scoring six goals in that time. 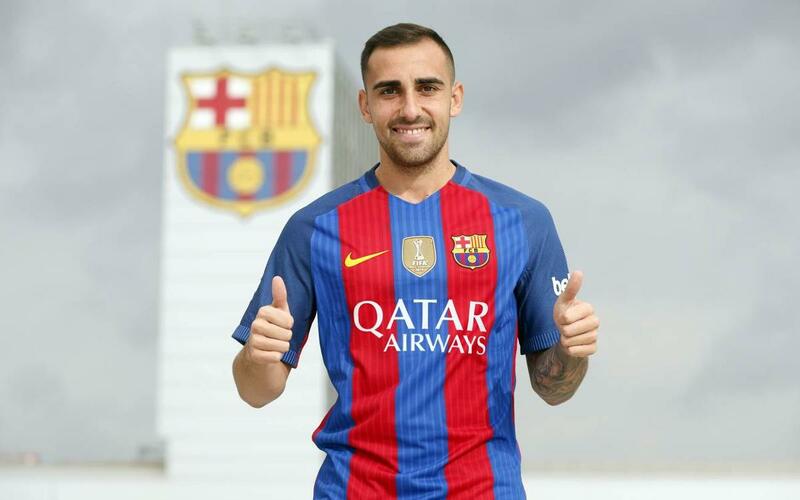 Alcácer becomes the first striker signed this summer by Luis Enrique’s team following defenders Samuel Umtiti and Lucas Digne, midfielders André Gomes and Denis Suárez and goalkeeper Jasper Cillessen to Camp Nou.